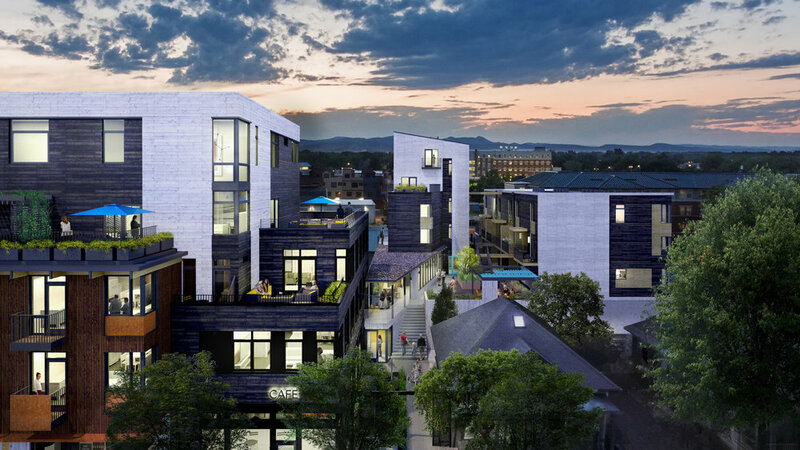 A light-filled and courtyard-focused collection of small buildings in downtown Fort Collins’ rapidly emerging River District that includes 26 unique loft condos, creative office and ground floor retail spaces, linked by intimately scaled common areas and amenities, all adjacent to a new public plaza at Linden and Willow Streets—the center of the new neighborhood. Confluence and will be ready in the fall of 2018. 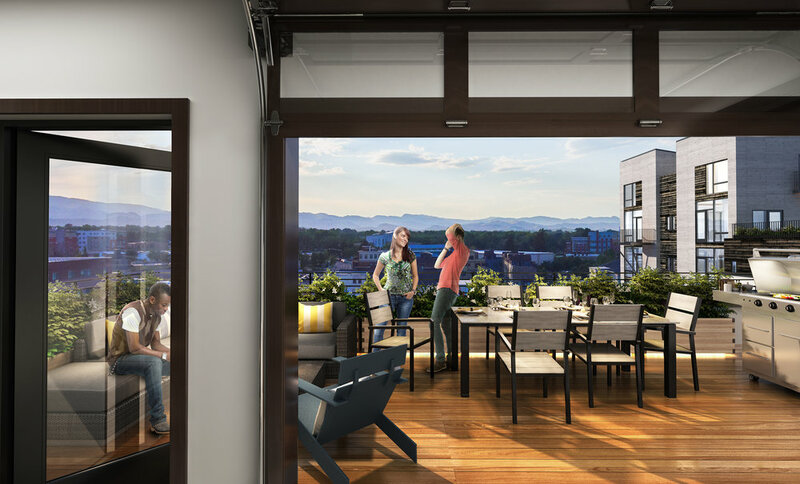 At Confluence we are creating a vibrant community of light filled urban condos that carefully connect to their location. The architecture respects the history of the River District and the building exterior can be described unabashedly as “Colorado town” with a material palette including natural steel and concrete, wood, sandstone and brick—all specifically tuned to the corner of Linden and Willow. Confluence strives to make connections between indoors and out and creates spaces for gathering and privacy and capitalizes on views to the surrounding neighborhood and beyond. Large casement windows–every unit has light from at least two sides and 25 of 26 units have light and air from at least two sides. High level Acoustical treatment between units. Covered and secure on-site parking. Take a look at our Plaza, Courtyard, Tower buildings as well as our commercial spaces in Fort Collins.